From a young age, I have always enjoyed and respected the outdoors. After seeing and studying communities in the Americas and Europe, I found a desire to help people design sustainable and healthy places that respect culture, help the environment, and meet the needs of people. At Alta, I can collaborate with others who also share my admiration towards designing active, and healthy communities. Philip Schweiger holds a Bachelor of Science in Landscape Architecture from the University of Massachusetts, Amherst. 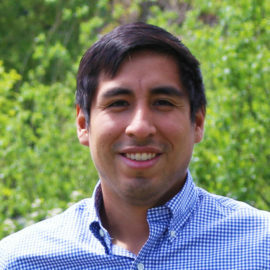 Before joining the Alta team Philip has worked as a Landscape Designer and Account Manager for residential clients in Massachusetts, New Jersey, Connecticut, and New York. As a designer, Phil focuses on designing and maintaining environments that are sustainable and benefit the people who experience them. His interests and experience include urban design, greenway design, project management, landscape maintenance and ecological design.